Bragging Rights (2009) was a professional wrestling pay-per-view (PPV) event produced by World Wrestling Entertainment (WWE). It took place on October 25, 2009 at the Mellon Arena in Pittsburgh, Pennsylvania. It was the final pay-per-view to take place at the Mellon Arena, as it closed on June 26, 2010 and was completely demolished on March 31, 2012 (the next WWE pay-per-view in Pittsburgh, the 2014 Royal Rumble, would be the first held at its successor, the PPG Paints Arena). It was the first of two Bragging Rights events (the other being Bragging Rights 2010) and featured talent from the Raw, SmackDown and ECW brands. Six matches were featured on the card. The concept of the show was based around a series of interpromotional matches for "bragging rights" between wrestlers from the Raw and SmackDown brands, with a Bragging Rights trophy awarded to the show that won the most matches out of the series. The matches included Raw's United States Champion The Miz defeating SmackDown's Intercontinental Champion John Morrison, SmackDown's team of Michelle McCool, Beth Phoenix, and Natalya defeating Raw's team of Melina, Kelly Kelly, and Gail Kim and SmackDown's team of Chris Jericho, Kane, R-Truth, Matt Hardy, Finlay, Tyson Kidd, and David Hart Smith defeating Raw's team of Triple H, Shawn Michaels, Big Show, Cody Rhodes, Jack Swagger, Kofi Kingston, and Mark Henry. The SmackDown brand won the Bragging Rights trophy with two wins to Raw's one. The show also contained three world championship matches including the main event where John Cena defeated Randy Orton in an Anything Goes Iron Man match to win the WWE Championship, The Undertaker defeating CM Punk, Rey Mysterio, and Batista in a Fatal Four-Way match to retain the World Heavyweight Championship and a dark match in which Christian defeated Paul Burchill to retain the ECW Championship. Randy Orton lost the WWE Championship to John Cena in a 60-minute Iron Man match. The concept of the show featured a seven-on-seven tag team match pitting contingents from Raw and SmackDown against one another. On the October 12 episode of Raw, it was announced one-half of Unified WWE Tag Team Champions Chris Jericho would act as the co-captain of SmackDown's team with Kane as the other co-captain, and Shawn Michaels and Triple H (collectively known as D-Generation X) would act as the co-captains of Raw's team. Later in the program, the other half of the Tag Team Champions The Big Show would qualify for the latter team by defeating Chris Jericho in a match that would qualify him to be on the team. Continuing the trend of qualifying matches on said episode of Raw, Cody Rhodes defeated Ted DiBiase and John Cena in a Triple Threat match, Jack Swagger defeated Montel Vontavious Porter, and Kofi Kingston defeated Evan Bourne. Mark Henry became the final member of Team Raw by defeating Chris Masters on the October 15 episode of WWE Superstars. The following night on SmackDown, Kane revealed that in fact the SmackDown team will be co-captained both by Jericho and himself. Qualifying matches for the SmackDown team commenced on the same night, with Dolph Ziggler defeating Mike Knox and Finlay in a Triple Threat match, Shad Gaspard and JTG (collectively known as Cryme Tyme) defeating David Hart Smith and Tyson Kidd (collectively known as The Hart Dynasty), Eric Escobar defeating Matt Hardy, and Drew McIntyre defeating R-Truth. On the October 23 episode of SmackDown, Jericho and Kane booked a 4-on-5 handicap match pitting Ziggler, JTG, Escobar and McIntyre against Finlay, the Hart Dynasty, Hardy and R-Truth, where the winning team would join the two at Bragging Rights. The latter team won the match, thus replacing the former team, along with Gaspard. Intercontinental Champion John Morrison of SmackDown lost against United States Champion The Miz of Raw. The main rivalry from the Raw brand heading into Bragging Rights was the continuing conflict between Randy Orton and John Cena over the WWE Championship. The two had faced at the three previous pay-per-view events, with Orton retaining the title at SummerSlam, Cena winning the title at Breaking Point in an "I Quit" match and Orton reclaiming the title at Hell in a Cell in the event's eponymous match. On the October 5, 2009 edition of Raw, Cena challenged Orton to one last rematch for the title, this time a 60-minute Iron Man match where the competitor with the most decisions at the end of that time would be named the victor. In order to accept the challenge, Orton added two more conditions to the match—if Cena loses, he would leave Raw and that the match would be "anything goes". The Undertaker returned to WWE at SummerSlam after CM Punk won the World Heavyweight Championship. Punk would then defeat his challenger at Breaking Point under controversial circumstances before losing the title to The Undertaker at Hell in a Cell a month later. On the October 9 episode of SmackDown, WWE Chairman Vince McMahon announced Punk would get his rematch at Bragging Rights, but it would be in a Fatal Four-Way match with Batista and Rey Mysterio. On the October 12 episode of Raw, the reigning WWE United States Champion, The Miz, announced that he will face the WWE Intercontinental Champion John Morrison at Bragging Rights. In 2007, the two formed a tag team and gained success in the tag team division, winning the WWE Tag Team and World Tag Team Championships as well as the 2008 Slammy Award for Tag Team of the Year. In an untelevised match at WrestleMania XXV, the team lost their unification match against The Colóns (Carlito and Primo) that would form the Unified WWE Tag Team Championship. A week later, The Miz found himself drafted to the Raw brand in the 2009 WWE Draft due to botched interference from Morrison. Miz subsequently attacked Morrison after the match, ending the partnership. Morrison was later himself drafted to the SmackDown brand. Both wrestlers found singles success with Morrison winning his third Intercontinental Championship from Rey Mysterio in September, while The Miz defeated Kofi Kingston to become the new United States Champion on the October 5 episode of Raw. Before the event aired live on pay-per-view, a dark match took place in which Christian defeated Paul Burchill to retain the ECW Championship. 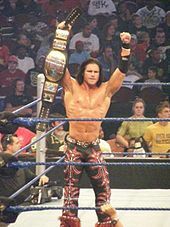 In the first match, Smackdown's Intercontinental Champion John Morrison faced RAW's United States Champion The Miz. During the match, Morrison performed a Springboard Roundhouse Kick on Miz but Miz placed his Foot on the bottom rope to void the pinfall. In the end, Morrison attempted Starship Pain on Miz but Miz pushed Morrison's legs to counter the move and pinned Morrison to win the match. Next, Smackdown's Michelle McCool, Beth Phoenix and Natalya faced RAW's Melina, Kelly Kelly and Gail Kim in a six-diva interbrand tag team match. Phoenix pinned Melina after a Glam Slam to win the match for her team. In the third match, The Undertaker defended the World Heavyweight Championship against CM Punk, Rey Mysterio and Batista in a Fatal 4-way match. During the match, Batista performed a Spinebuster on Undertaker but Punk broke up the pinfall. Punk performed a GTS on Mysterio but Batista broke up the pinfall. Undertaker applied Hell's Gate on Batista but Punk broke the hold. Undertaker performed a Last Ride on Punk but Batista broke up the pinfall. Batista performed a Batista Bomb on Undertaker but Mysterio broke up a pinfall. Undertaker pinned Batista after a Tombstone Piledriver to win the match and retain the World Heavyweight Championship. After the match, Josh Matthews interviewed Mysterio and Batista. Batista attacked Mysterio, turning heel. In the fourth match, Team Raw (D-Generation X (Triple H and Shawn Michaels), Big Show, Cody Rhodes, Jack Swagger, Kofi Kingston and Mark Henry) faced Team SmackDown! (Chris Jericho, Kane, R-Truth, Matt Hardy, Finlay and The Hart Dynasty (Tyson Kidd and David Hart Smith)) in an interbrand 14-man tag team match for the Bragging Rights trophy. In the climax, Big Show performed a Chokeslam on Kingston, betraying Team RAW. Triple H confronted Big Show, who delivered a Knockout Punch to Triple H. Jericho pinned Kingston to win the match for Team Smackdown. In the main event, Randy Orton defended the WWE Championship against John Cena in a 60-minute Iron Man match. Cena quickly forced Orton to submit the STF, making the score 1-0. Orton pinned Cena after an RKO, making the score 1-1. Cena attempted to perform an Attitude Adjustment on Orton but Orton countered the move into an RKO. Orton pinned Cena whilst Cena pinned Orton, making the score 2-2. Cena pinned Orton after an Attitude Adjustment off the top rope, making the score 3-2. Cody Rhodes and Ted Dibiase interfered, with DiBiase performing a Dream Street on Cena. Rhodes and Dibiase placed Orton on Cena for a pin, making the score 3-3. Kofi Kingston then emerged, holding a steel chair, forcing Rhodes and DiBiase to retreat. Orton pinned Cena after throwing Cena through the electronic wall, making the score 4-3. Cena pinned Orton with a small package, making the score 4-4. Orton pinned Cena after an elevated DDT onto the arena floor, making the score 5-4. Cena pinned Orton after an Atttitude Adjustment through the announce table, making the score 5-5. Orton performed an RKO on Cena for a near-fall. Orton attempted to perform a punt kick on Cena but Cena countered the move into the STF and forced Orton to submit, making the score 6-5 to Cena, who won his fifth WWE Championship. The event was generally well received by critics, with positive comments on the opening bout between Morrison and The Miz and mostly on the Iron Man match main event. The Sun, in a positive review, praised the Iron Man Match and the Fatal 4 Way Match, but criticized the tag team Bragging Rights equalizer as confusing and causing many of the competitors to become lost in the action. They awarded the event a positive 7 out of 10. The pay-per-view drew 181,000 buys, and is up from the 153,000 buys Cyber Sunday 2008 got. ^ Martin, Adam (2009-10-28). "Recent WWE attendance". WrestleView. Retrieved 2010-07-30. ^ "WWE Bragging Rights". World Wrestling Entertainment. Archived from the original on 2009-06-18. Retrieved 2009-08-24. ^ "Events". Mellon Arena. Archived from the original on 2009-01-04. Retrieved 2009-08-24. ^ "WWE Pay-Per-Views To Follow WrestleMania Formula". World Wrestling Entertainment. Retrieved 2009-12-11. ^ "Presenting WWE Bragging Rights". World Wrestling Entertainment. Archived from the original on 2009-10-08. Retrieved 2009-10-05. ^ a b Passero, Mitch (2009-10-25). "Results:SmackDown curses Raw". World Wrestling Entertainment. Retrieved 2009-10-25. ^ a b Adkins, Greg (2009-10-12). "Viper tension". World Wrestling Entertainment. Retrieved 2009-10-13. ^ Cohen, Josh (2009-10-15). "Devious Disruption". World Wrestling Entertainment. Retrieved 2009-10-16. ^ Passero, Mitch (2009-10-16). "Earning the right to "brag"". World Wrestling Entertainment. Retrieved 2009-10-24. ^ Passero, Mitch (2009-10-23). "Battle before the war". World Wrestling Entertainment. Retrieved 2009-10-24. ^ "WWE Champion Randy Orton def. John Cena". WWE. August 23, 2009. Retrieved April 16, 2012. ^ Sitterson, Aubrey (2009-09-13). "Quitting time". World Wrestling Entertainment. Retrieved 2009-10-06. ^ "Randy Orton def. John Cena in a Hell in a Cell Match (New WWE Champion)". WWE. October 4, 2009. Retrieved April 16, 2012. ^ a b Adkins, Greg (2009-10-05). "Big Ben clocks in". World Wrestling Entertainment. Retrieved 2009-10-06. ^ "CM Punk def. Jeff Hardy (New World Heavyweight Champion)". WWE. August 24, 2009. Retrieved April 16, 2012. ^ Tello, Craig (2009-09-13). "Hell's Gate-crasher". World Wrestling Entertainment. Retrieved 2009-10-10. ^ "The Undertaker def. CM Punk in a Hell in a Cell Match (New World Heavyweight Champion)". WWE. October 4, 2009. Retrieved April 16, 2012. ^ Cohen, Josh (2009-10-09). "Punked!". World Wrestling Entertainment. Retrieved 2009-10-09. ^ Passero, Mitch (2009-09-25). "To hell and back". World Wrestling Entertainment. Retrieved 2009-10-09. ^ Sitterson, Aubrey (2009-04-13). "Rough Draft". World Wrestling Entertainment. Retrieved 2009-10-13. ^ "WWE Supplemental Draft results". World Wrestling Entertainment. 2009-04-15. Retrieved 2009-10-13. ^ Passero, Mitch (2009-09-04). "Death and rebirth". World Wrestling Entertainment. Retrieved 2009-10-13. ^ McNicol, Rob (2009-10-26). "Something to Brag About". The Sun. London. Retrieved 2010-01-30. ^ "WWE Reports 2009 Fourth Quarter Results" (PDF). World Wrestling Entertainment. 2010-02-11. Archived from the original (PDF) on 2010-02-15. Retrieved 2010-02-12. ^ "WWE Bragging Rights '09". Pro Wrestling Database. Wrestling Observer Newsletter. Retrieved 2009-10-26. ^ Adkins, Greg (2009-10-25). "Results:Awe Struck by Miz". World Wrestling Entertainment. Retrieved 2009-10-15. ^ Vermillion, James (2009-10-25). "Results:Glamazing finish". World Wrestling Entertainment. Retrieved 2009-10-25. ^ Burdick, Michael (2009-10-25). "Results:Phenom wins, Animal turns rabid". World Wrestling Entertainment. Retrieved 2009-10-25. ^ Tello, Craig (2009-10-25). "Results:Iron will in the Steel City". World Wrestling Entertainment. Retrieved 2009-10-25.